Kerasma Souvlaki Merchant is located in a rustic venue in Newtown with arched windows, offering Greek skewers and sweets, plus create-your-own souvlaki. This was a challenging project because the rustic venue was heritage listed and had no prior mechanical ventilation ducting as well as no access to the roof level. We began work with a mechanical ventilation design which was approved by The City of Sydney and Rail Corp who are the owners of this building. Due to the heritage listing, JC Ventilation had to take extra precautions in our designs to avoid any potential future issues. During the design stage, we encountered challenges with the kitchen exhaust ducting because they had to be designed to be installed below the ceiling height due to structural beams. We had to be mindful that there was no around this as structural beams are part of the heritage listing and therefore the kitchen exhaust hoods and the kitchen exhaust ducting had to be hung from the structural beams. 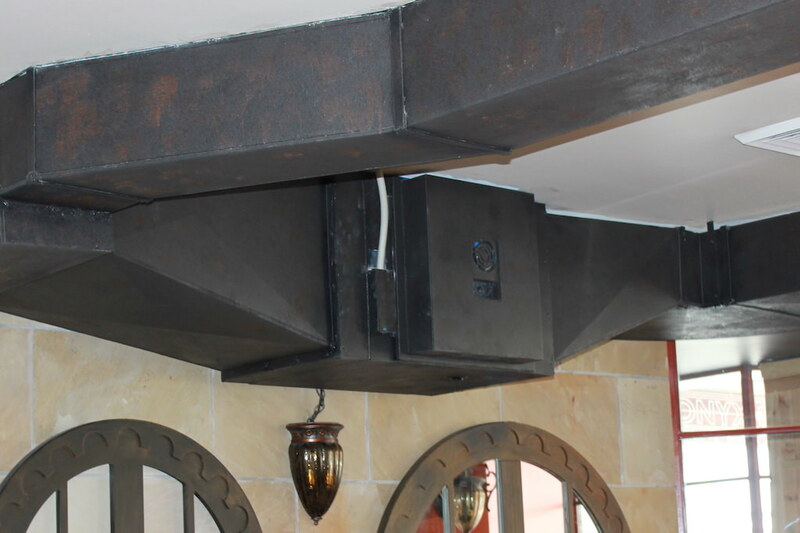 Another major concern was that there was no riser for the kitchen exhaust ducting, so, therefore, this had to pass through an existing restaurant which occupied the second floor via a kitchen exhaust fan. The kitchen exhaust fan and a mechanical ventilation riser were installed on the roof level. Due to a concern from the City of Sydney regarding smoke from BBQ style cooking, we implemented an AOS RY2500 electrostatic air cleaner provided by Air and Odour Solutions Australia (AOS) to remove the smoke. Both the charcoal ducting and pizza oven ducting had to be connected separately. 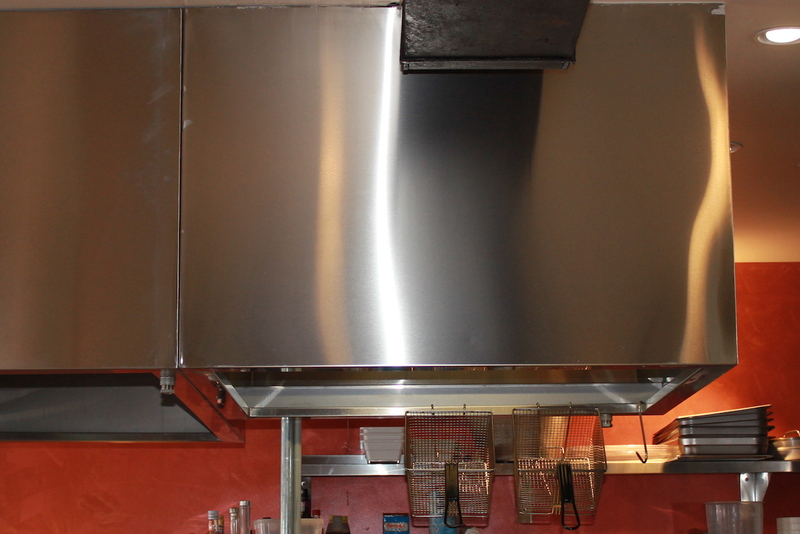 1x Kitchen exhaust hood (2000 x 1100 x 750) 1.2 fully welded stainless steel. 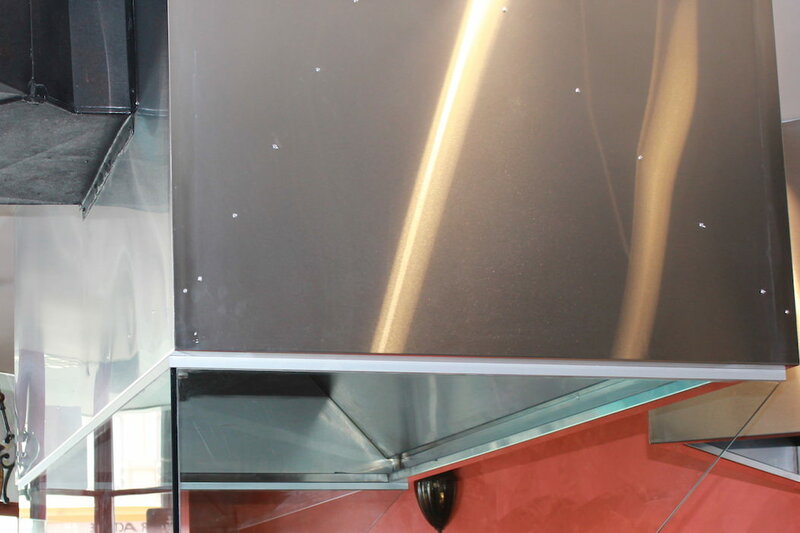 1x Pizza oven kitchen exhaust hood (1110 x 1020 x 750 ) 1.2 fully welded stainless steel. We also installed kitchen exhaust ducting which ran two stories above with kitchen exhaust fan.